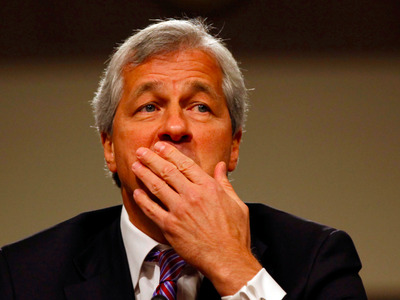 Jamie Dimon, Chairman and CEO of JPMorgan just sent a memo, as seen by Business Insider, to all staff at the investment bank across the world about what it plans to do next after Britain shockingly voted for a Brexit — leaving the European Union. Daniel Pinto, head of the Corporate & Investment Bank at JPM and Head of Europe, Middle East and Africa, and Mary Erdoes, Head of Asset Management co-signed the memo. The note seems to seek calm amongst staff and insist that Brexit negotiations will take years. Only three weeks’ ago, Dimon said in a speech that JPM could move an undisclosed number of its 16,000 UK-based staff to Europe if Britain votes for a Brexit. While these are not job cuts, it could see roles being moved elsewhere. We recognise the potential for market volatility over the next few weeks and we are ready to help our clients work through it. As of today, there are no changes to the structure of our clients’ relationships with JPMorgan Chase or their ability to work with our firm, but again this may change in the coming months or years. We are hopeful that policymakers will recognise the immense value created through a continued open economic engagement between the U.K. and EU members. As negotiations offer more clarity over the coming months, we will communicate with you and with our clients regarding any relevant changes.